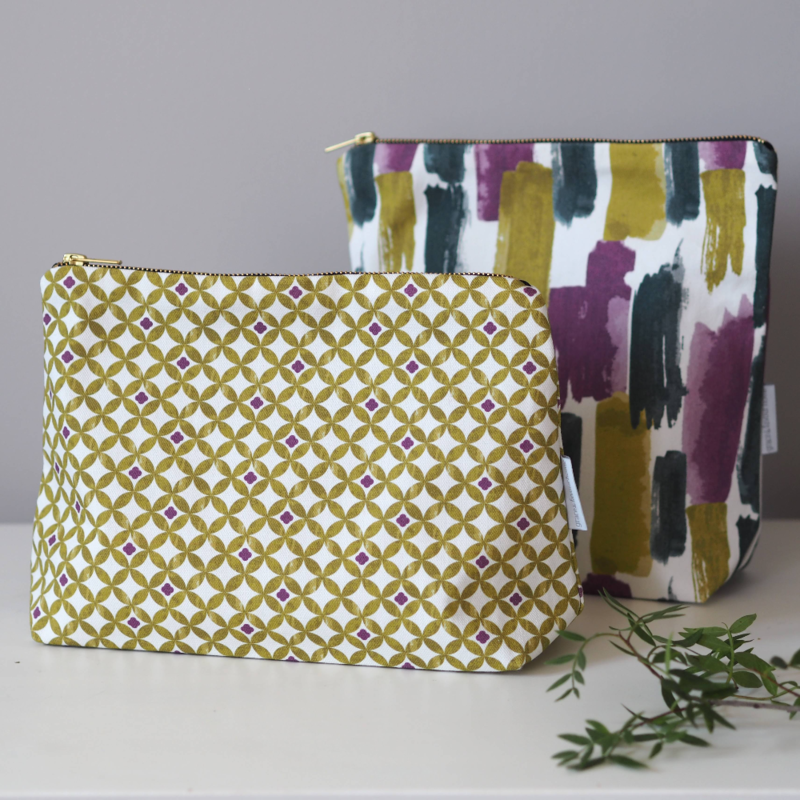 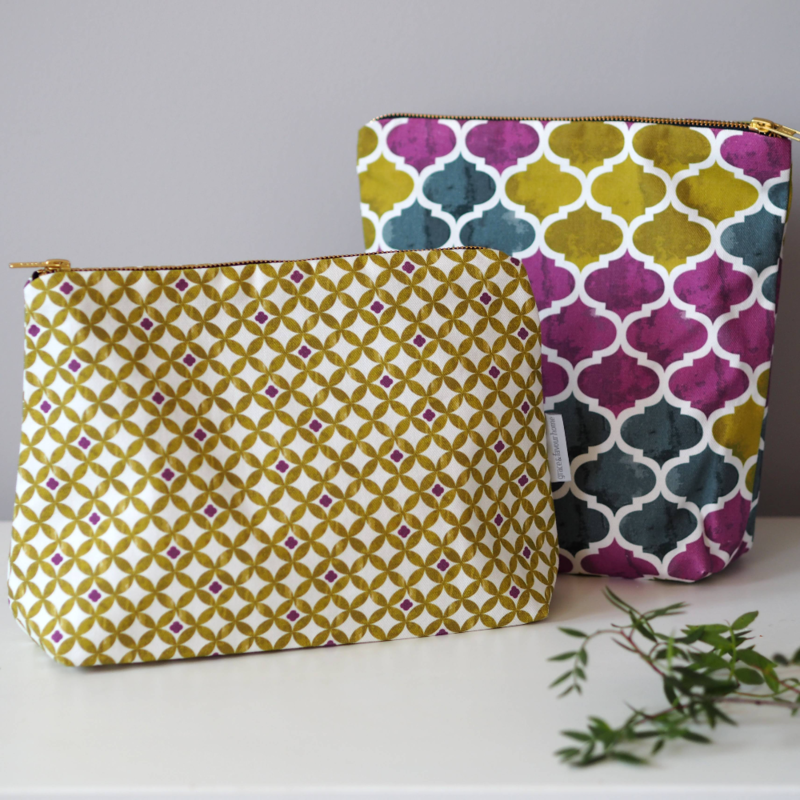 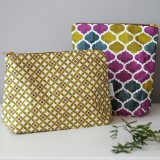 A generously sized toiletry bag, our geometric Paola design is a great addition to your weekend bag, suitcase or in the bathroom! 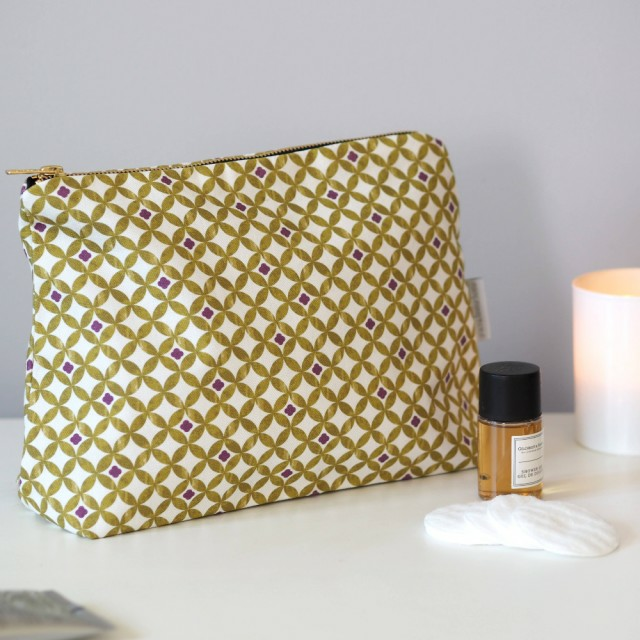 Fully lined with a navy cotton, this washable toiletry bag has a chunky brass coloured metal zip. 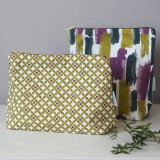 Designed, printed and made in the UK, the Paola fabric is part of our new Cordoba collection, with 3 beautiful prints taking inspiration from Moorish culture featuring shades of chartreuse green, deep amethyst and a rich green-grey.